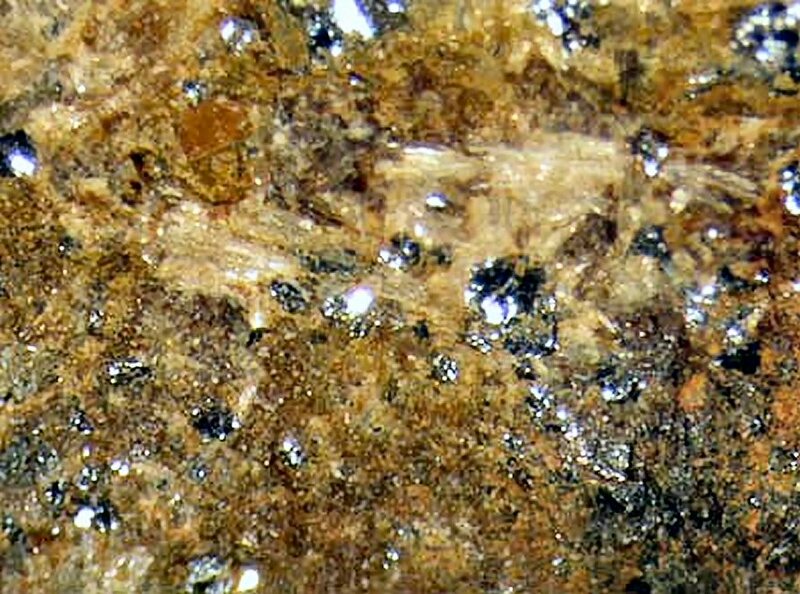 Comments: Light brown, silky protomangano-ferro-anthophyllite crystals on brown fayalite with grunerite. Location: Suishouyama Pegmatite, Lizaka, Kawamatacho, Fukushima, Japan. Scale: Specimen Size 3x3 cm.